So, so sorry this has taken me so long, but at long last, all the Gertrude books are available in paperback from Amazon and wherever books are sold. Click here to find them on Amazon. My apologies, I haven’t done a good job of keeping this news feed up to date. I’ve been spending all my time writing, and a lot has happened! First, survey results are in! I asked Robin’s Readers to vote for which book I should write next, and the winner is: the first book in a new cozy mystery series. New Gertrude: Book 6 in the Gertrude, Gumshoe series is now live on all ebook retailers, and spent several days on Amazon’s Hot New Release List. Thanks, Faithful Readers! This may or may not be the final book in the Gertrude series. That will be up to you! 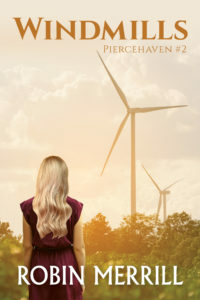 New Piercehaven: Book 3 in the Piercehaven series, Trespass, is now available via all ebook stores. This book also spent several days on Amazon’s Hot New Release List. Thank you again, Faithful Readers! This book may or may not be the final book in the Piercehaven series. Let me know if you have a thought on that! Box Sets Galore: I’ve made a bunch of box sets. There is now a second Gertrude box set, for books 4 through 6. There is also a box set for all the Gertrude books, 1 through 6. There is also a Piercehaven box set. Audio Coming: Gertrude Book 5 is now available in audiobook! Audio for Gertrude 6, and Piercehaven 2 and 3 are in production. Piercehaven 2 should be out within days! Paperbacks: Paperbacks are expensive to create, so thank you for your patience. They rarely even make enough money to cover their cost. However! I know some of you love the feel of a paper book in your hands, so Windmills is now available in paperback, and I’m working on a paperback Trespass. I will also work toward getting the entire Gertrude series in print. Free Christian Fiction: I have a Shelter short story in a free anthology called The Light Leads to Love, which is available in most bookstores. 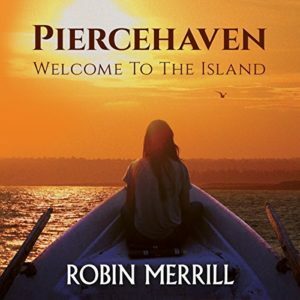 Piercehaven is now available in audiobook from Amazon and Audible! Book 5 in the Gertrude, Gumshoe series is now available for a limited time presale price of $.99! Find it at your favorite retailer by clicking here! 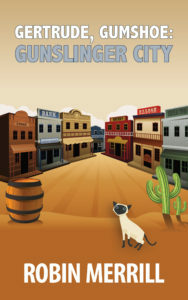 Gunslinger City will release on March 1! The second book in the Piercehaven series is now available for a limited time presale price of $.99! Get it at your favorite retailer by clicking here! Windmills will release on February 1!